2019, I’m really seriously trying to eat better and healthier and I know I’m not the only one. So I’m so so happy to bring you another healthy, easy & vegan dish to you! 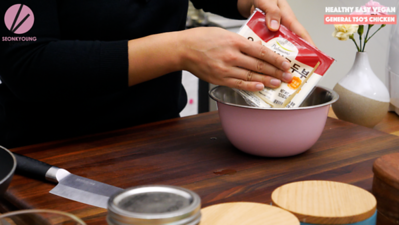 You know the best part of this recipe? 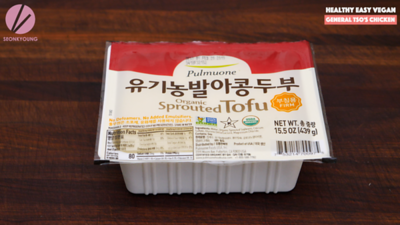 The tofu is oil free and air fried! 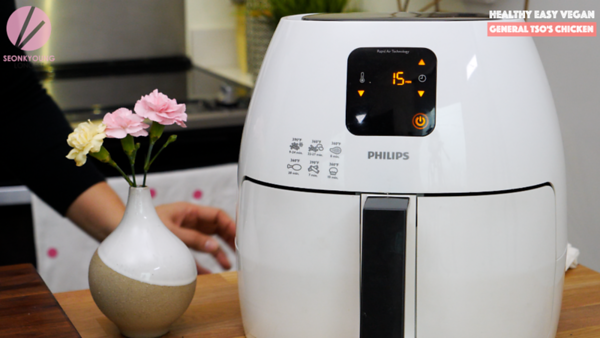 You can use any air fryer you have, mine happens to be Philips! I love the design, the size (Mine is XL) and the quality! 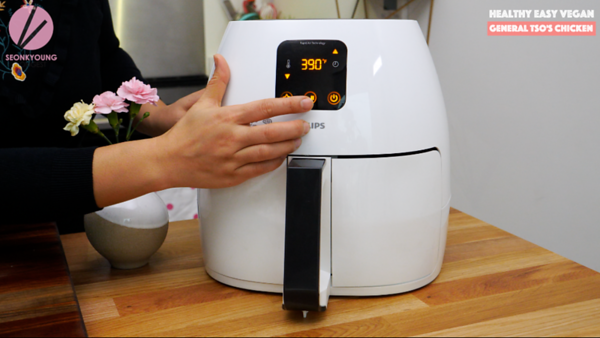 Only the down fall is the sound… it’s louder than other air fryer to be really honest with you. But! I’ve been enjoying using it and I’m very happy with all the food results so far! 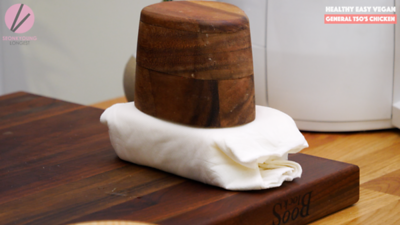 Drain tofu and wrap with some paper towel and place a salt container or anything that has a weight on top of the tofu. Let it sit for 5 minutes. 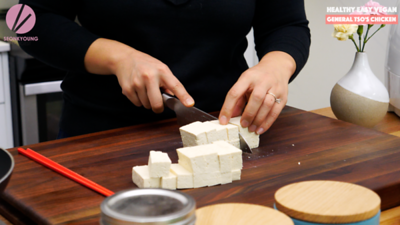 Cut the tofu into 2-inch long rectangles and season with salt and pepper. 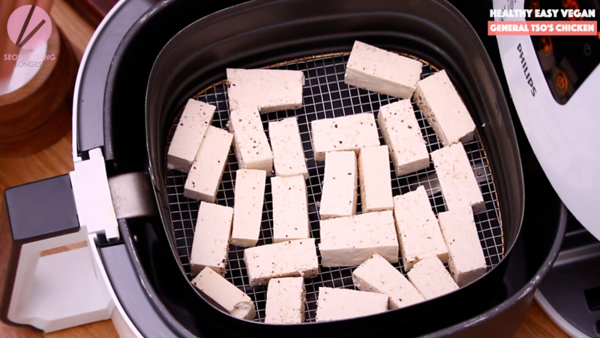 Place tofu into the preheated airfryer and cook them for 15 mins or until golden brown all around. 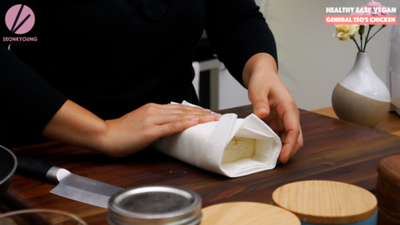 Shake and turn them around in the halfway through. 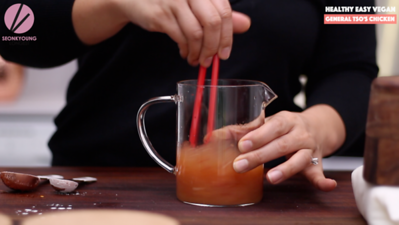 Meanwhile, combine soy sauce, vinegar, sugar, samba, vegetable stock and cornstarch in a mixing bowl and set aside. 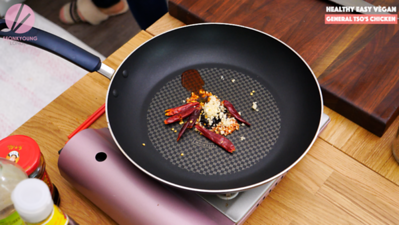 In a cold pan, add chili oil, dried chilis and garlic. Turn on the heat to medium high and stir fry for 2 to 3 minutes or until you smell the aroma. Keep stir to prevent burnt garlic. 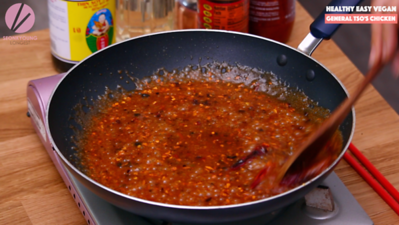 Mix the sauce mixture one more time (because cornstarch will sink down to the bottom) and pour in the pan. Stir immediately. 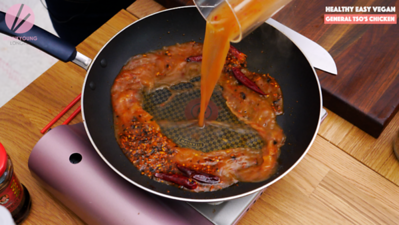 Cook the sauce 1 to 2 minutes or until the thickness you desire. By now, the tofu probably has done cooking! 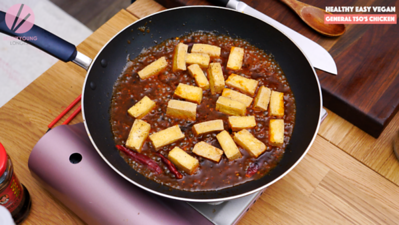 Add the air-fried tofu and toss evenly. 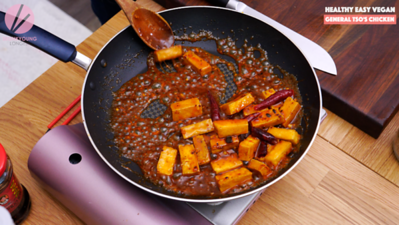 Cook additional 1 to 2 minutes so tofu has some time to soak up the flavor of the sauce. 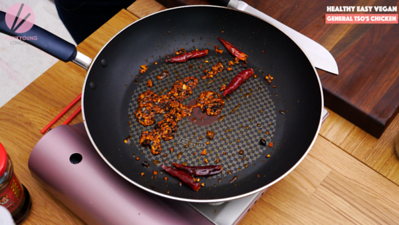 Remove from the heat and garnish with sesame seeds if you like. Serve with some warm cooked rice and steamed veggies if you want it to be a meal or it can be an amazing appetizer as it is! 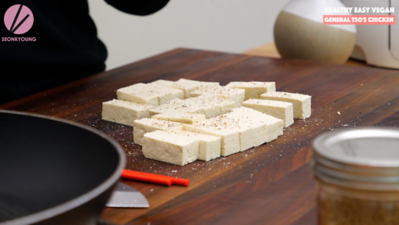 Cut the tofu into 2-inch long rectangles and season with salt and pepper. 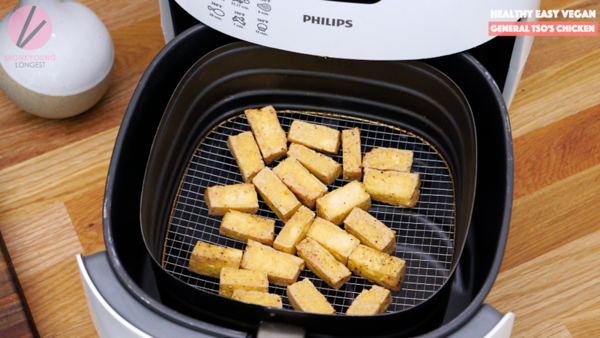 Place tofu into the preheated air fryer and cook them for 15 mins or until golden brown all around. Shake and turn them around in the halfway through. Add the air-fried tofu and toss evenly. 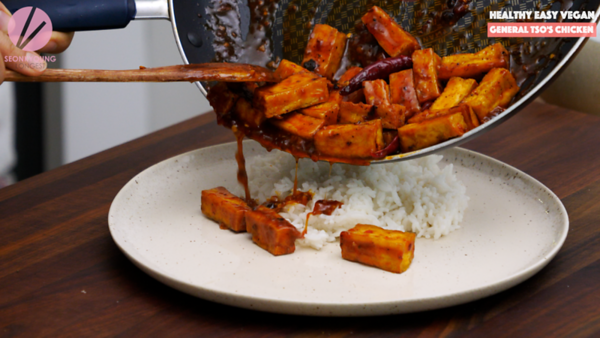 Cook additional 1 to 2 minutes so tofu has some time to soak up the flavor of the sauce. 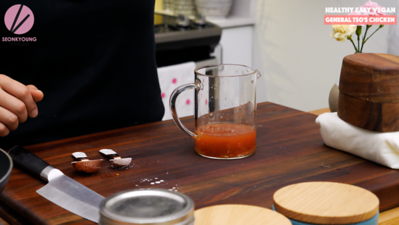 Remove from the heat and garnish with sesame seeds if you like. Serve with some warm cooked rice and steamed veggies if you want it to be a meal or it can be an amazing appetizer as it is! Enjoy! So easy and so delicious. Definitely was the perfect way to break in my air fryer. Enjoying this for lunch right now! My family loves your videos!!! 👏Everything you make looks so delicious, but I especially like this recipe since I don’t eat meat. (I do eat seafood, eggs, etc. so you have loads of good recipes for me). 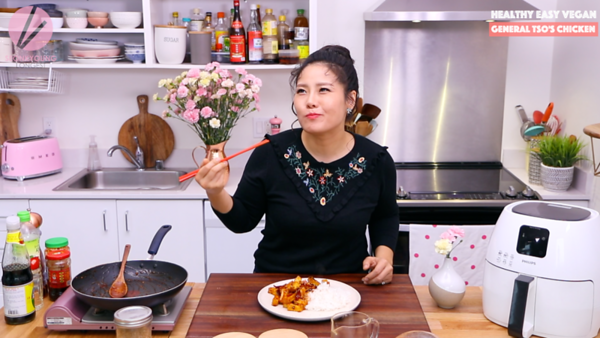 My husband and adult son, love all your meat recipes so we always make two versions and I modify mine batch with tofu or shrimp or whatever.